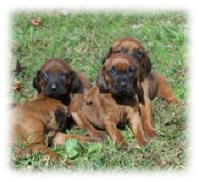 The following litters and upcoming litters are available at this time. Please call us at (804) 382-3186 or email wayne@timberchopper.com to determine what is currently available in each of the listed litters below. Please call or email us to be added to our waiting list! 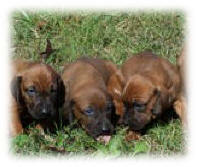 As of February 1, 2013 all litters will be permanently nominated as Performance Rewards Litters. Call today to get your pick of the litter! You can pick up your pup anytime after his or her 8 week date or we can ship your new puppy to you anywhere in the world. Please call our farm and kennel office at (804) 382-3186 Wayne or the farm staff will be happy to help you find just the puppy you're looking for. 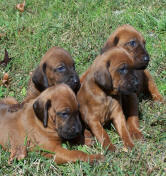 All puppies can be picked-up or shipped at 8 weeks of age. Puppies are $500.00 if picked up here at the Kennel. If they are shipped they will be $600.00 plus shipping costs. 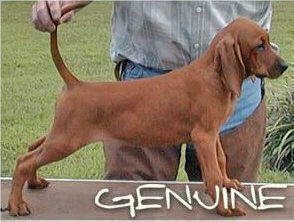 Your new pup will be right at home in a pen waiting for the night's hunt or on your couch living the easy life. Timber Chopper dogs make great pets and love activity, whether it's walking around the neighborhood or running in full cry on a hot track. Please call us at (804) 382-3186 or send us an email at wayne@timberchopper.com to let us know which puppy you are interested in. 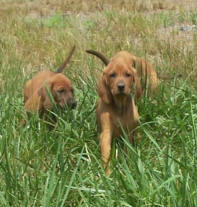 Puppies can either be picked up at our kennels or we can ship your puppy to you. If they are shipped they will be $600.00 plus shipping. If you are having your puppy shipped to you, the pup will be tired. He or she will most likely act a little shy and reserved in the beginning, even staying in the back of the crate and not coming forward. The puppy will not immediately roll out of the crate like a puppy in a Hallmark commercial and want to get into rambunctious play with your kids/cat/other dogs. He is likely to be missing his mother and siblings. He was exposed to strange smells, loud noises, and lots of other unfamiliar things for several hours, in addition to being jostled around some. He’s probably on sensory overload. Give the little one a break and let him settle down and get secure. Wrap him in a towel and let him fall asleep on your chest in the easy chair in the living room. Don’t subject him to a lot of excitement and activity; he has had enough for one day. Also, don’t be overly worried if he does not seem to be hungry. Do feed him in case he will eat, but don’t be surprised if he chooses not to eat the first night. Be sure that you give him plenty of water. Be ready for his true personality and affectionate nature to come out over the next day or so as he gains confidence in his new home with your family! We work very hard to provide excellence in all veterinary care and strive to enhance the quality of life for our hounds in everything we do. 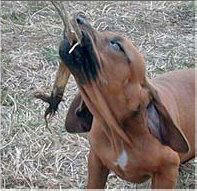 In addition to hunting, our dogs have use of large exercise areas, clean warm pens and comfortable dry bedding. The puppy you receive from us is the product of many decades of experience, study, research, and endless hours of effort. 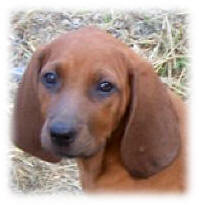 We are pleased to deliver to you a puppy that is healthy to the best of our knowledge. We will replace the puppy, or take the puppy back and give you a full refund of the cost of the pup if he or she is found to have a health disorder, disease or condition that is congenital, or which resulted from viral exposure at Timber Chopper Kennels. If you are not OVERWHELMINGLY DELIGHTED with your puppy FOR ANY REASON, we will be glad to replace it with a different pup, or take the puppy back and refund your money, whichever you wish. However you may be charged an office fee of $35 for paperwork changes. 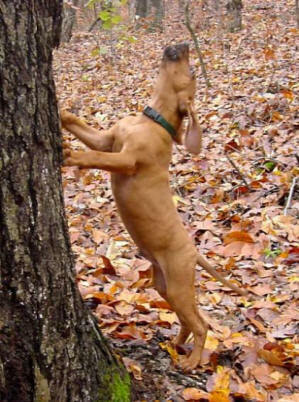 FURTHERMORE, if at any time in your dog’s life you come upon a circumstance where you are unable or unwilling to keep your Timber Chopper Redbone, we will be glad to help you arrange for a new permanent home for your dog. PLEASE don’t let your dog go to a shelter or rescue. We can help you find a family for your dog if you can’t keep him or her. Please specify whether you want a male or female pup and what date you’d like to pick up your puppy. The Puppy Waiting List is perfect for holiday gifts or birthday presents to make sure your puppy arrives at just the right time.